Nick, like Brother Simon, started motor racing with motorcross, then progressed to karting, before doing his first rally at Rockingham in 2000. Nick is known to be the wilder driver of the two brothers, but acheives some fantastic results in his smaller cars. Favourite Car: Porche Carera/ My Nissan Micra rally car! 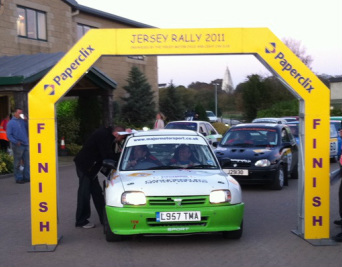 Best memory from an event: First event I did in Jersey, in a standard Vauxhal Corsa, and still finished 2nd in class!